Do you not know what to give a dog for anxiety? We have some alternative natural remedies for dog anxiety that can go a long way to give you peace of mind that your dog is comfortable. Having a pet is complicated and one of those possible complications could be a dog's anxiety. 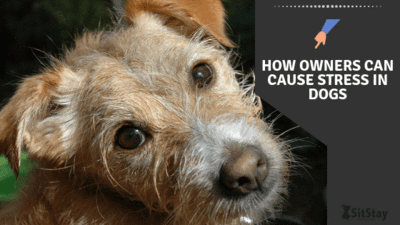 There are many reasons why dogs can get anxious and just as many responses to anxiety as well. 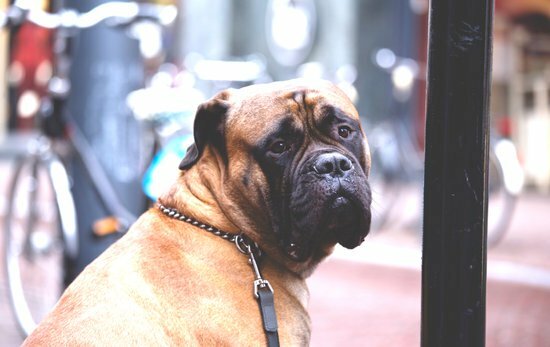 In this article I will try to help you understand your dog's anxiety and give some alternative options to the medical side of treatment. There are a few different classes of anxiety in dogs that includes mild fears, panic inducing situations, and stressors. Each of these elicits their own set of responses. Mild fears:signs may include trembling, tail tucked, withdrawal, hiding, reduced activity, and passive separation techniques. Other symptoms of anxiety in dogs include: Aggression, Elimination (urination or bowel movements), Destructive behavior, Pacing/restlessness, and Repetitive or compulsive behaviors. There are a ton of reasons for dogs to have anxiety, and they are not limited to any set situations. 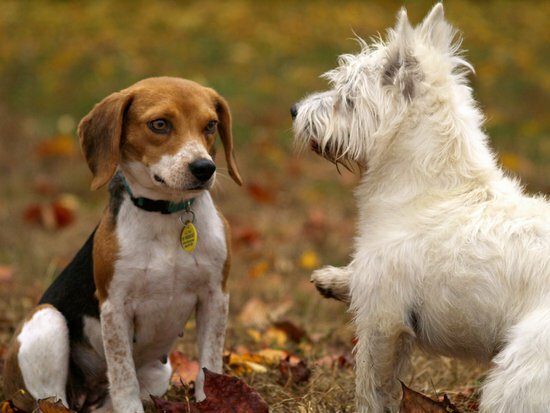 Just like humans dogs react in ways based on past experiences and new stimuli. Some of these causes could include an illness or painful physical condition. Aging changes associated with nervous system changes; infectious disease, and toxic conditions, such as lead poisoning. Fear from a terrible experience; your dog may have been forced into an unfamiliar and frightening experience. Dogs that are deprived of social and environmental exposure until 14 weeks of age may become habitually fearful. Fear of social gatherings: crowds or even just a few new people in your dog's vicinity could trigger an anxiety response in your dog. This information may even give you anxiety just thinking about your fur child having a panic attack, but there are ways to help out in these situations and I will be going over two strong options that most people look at as alternatives but could very easily be the best solution. There has been a recent boom in people with anxiety using weighted blankets and that is because they work! The same science that has applied to humans is now being applied to weighted blankets for dogs and is helping pet owners all over. Adding weight to a blanket using beads or other heavy materials allows the blanket to create deep touch pressure, which occupational therapists use to mimic a swaddling or hugging feeling. Wearing a weighted blanket makes pressure all over the body, and is used by therapists when working with people who suffer from high levels of anxiety of all kinds. The pressure created by the blanket helps release serotonin and dopamine into the brain, which in turn helps the nervous system relax and is how you get your dog to calm down. There are many products out there to simulate these weighted pressures, but weighted blankets for dogs are by far the most versatile and easy to use option. Some users of weighted vests and shirts report rubbing on the dog creating sores, or that the dog becomes dulled to the sensation. 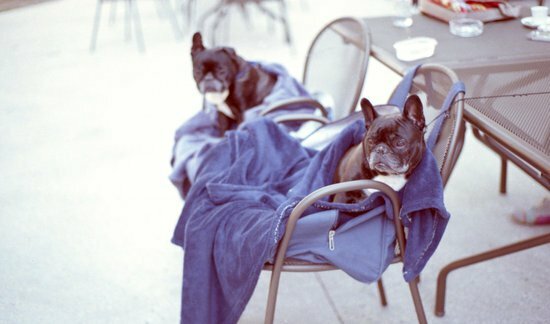 weighted blankets for dogs however are often more pet friendly being comfortable and easily removable if the pet calms down. Along with this people report the blanket being easier to use in non anticipated times when there is no preparation for a trigger of your dogs anxiety. The best option for your dog is one that weighs approximately 10% of his body weight. A 100-pound dog may be best suited by a 10-pound blanket, but a heavy blanket would not be suitable for a 40-pound dog and could even worsen the situation. CBD or also known as Cannabidiol is another new discover in the world of anxiety reduction and is a great option for any dog owner. 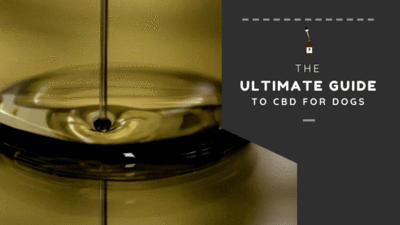 CBD is a compound found in both marijuana and hemp but the compound itself is THC free. This is the key part, all you get is the beneficial side of medical marijuana without the psychoactive effects. Which is exactly why CBD for dogs is perfect. 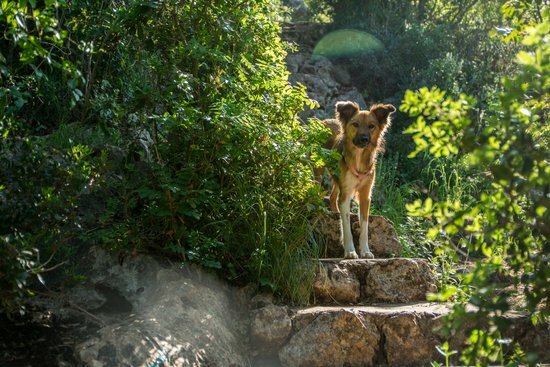 Humans and dogs absorb the CBD compound through what is referred to as the endocannabinoid system where this network of neurons have receptors for CBD and other cannabinoids. CBD comes in many forms and this can affect how it is used, and to make sure it is safe for dogs check to see that the product is THC free. 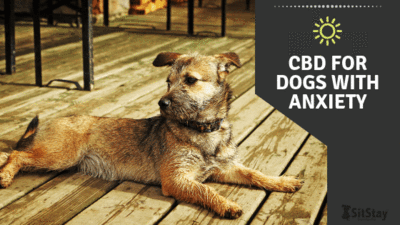 Some products that have CBD include various treats, CBD tinctures for dogs, CBD oils for dogs, CBD capsules for dogs, and CBD oil infused products. All of these can help reduce anxiety in any fur friend you have. In general, dosage for dogs varies heavily based on size, and The exact dosage needed for a dog can vary from one product to another. I recommend following the dosing instructions that came with the product, seeing how your dog responds, and adjusting the dose as needed. The amazing thing about CBD for dogs is that it works no matter the situation, there is no hassle of getting your dog calmed down as long as they have their CBD dosage, which is all natural and incredibly beneficial to a dog, they will not get anxiety in the first place! There are many options to help deal with anxiety that aren't over the counter medications for dogs. By using one of these alternative natural remedies for dog anxiety we have talked about, not only could it improve your dogs anxiety levels but it is doing it in an all natural way! Make sure to contact your veterinarian before starting one of the options as they may not be the best idea for some pups. Feel free to leave a comment and share this post if you thought it was insightful.